Last night I received an email alert stating that there was a job in my location. To be honest I was shocked, there has literally never been a job that has triggered this email alert! Now Bala is a small medieval town in North Wales. I know it well, it's about 30 miles from me, it has a nice lake and (Like pretty much every old town in North Wales) it's own castle. 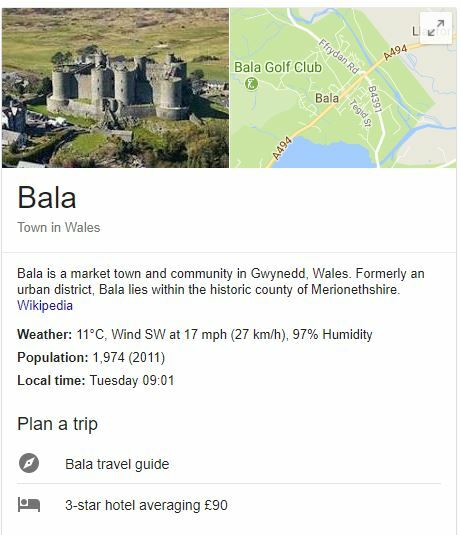 I actually genuinely thought for a while that this job was in Bala North Wales (it was early in the morning). I spent a while reading the spec and then I decided that something didn't add up here. 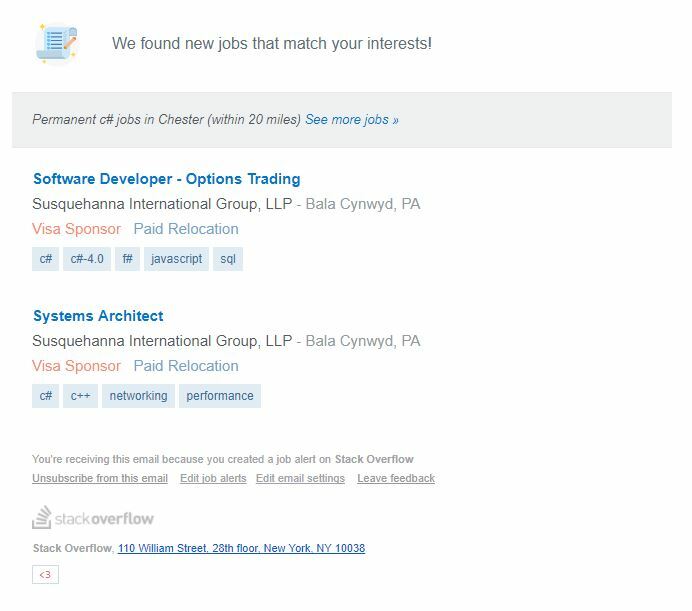 I actually had to Google the company to figure out that this was actually offering a job in a place called Bala Cynwyd (Obviously founded by Welsh settlers this one) which is a district of Philadelphia in Pennsylvania... USA! The location does state Bala Cynwyd, PA in the email and on the job itself. So why did I get this email at all? It's about 1,000 miles outside of my 50 mile alert radius. I'm guessing it's not just user error (though that would be annoying in itself) as the email does state PA. So, the problem stems from that your search for Chester resolved to Chester, PA which is only 22 miles from Bala Cynwyd, PA. That likely happened because when we processed the alerts and geo-coded Chester it only had the server's IP address (which would be located in the US) to use as a region hint. I've just updated the code to make sure it uses the country code associated with your home location (GB in your case) falling back to wherever you last logged on from. Not the answer you're looking for? Browse other questions tagged bug status-completed jobs job-alerts .